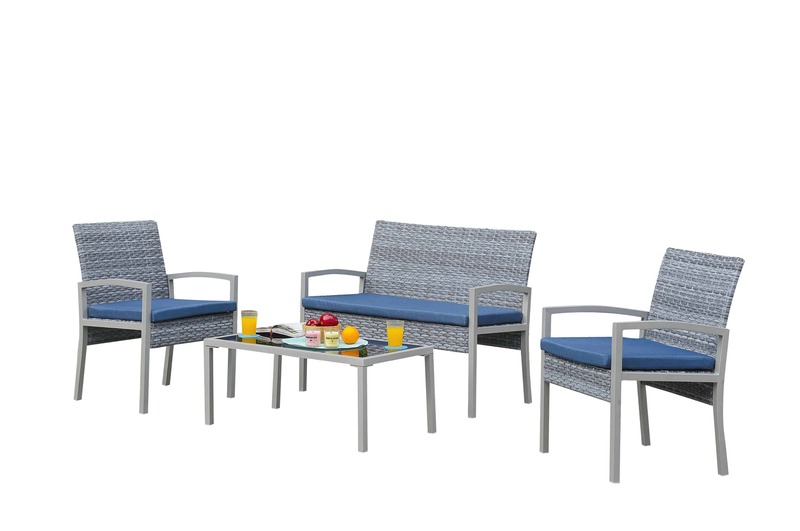 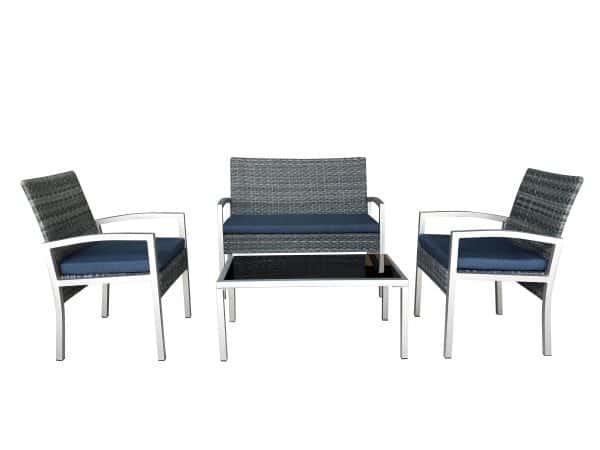 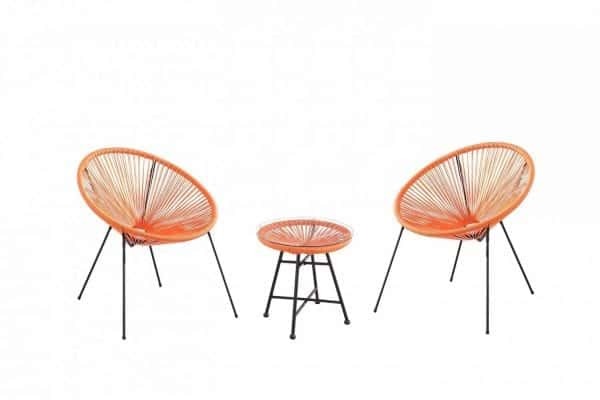 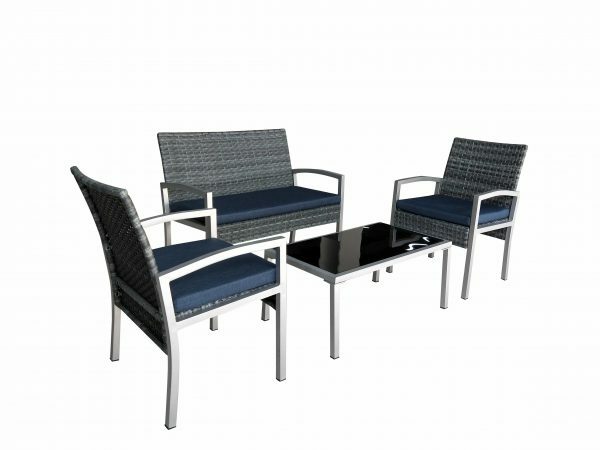 This compact set is a perfect way to add sleek seating to your patio. 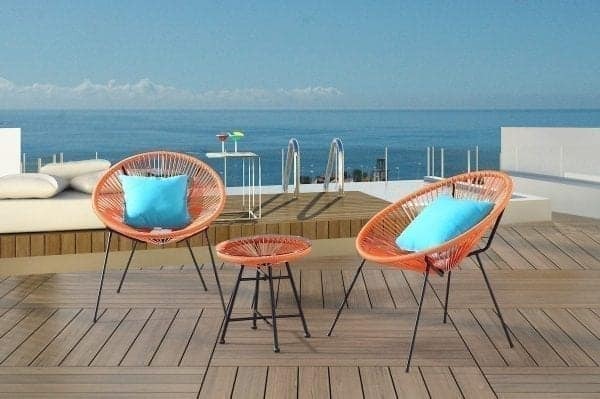 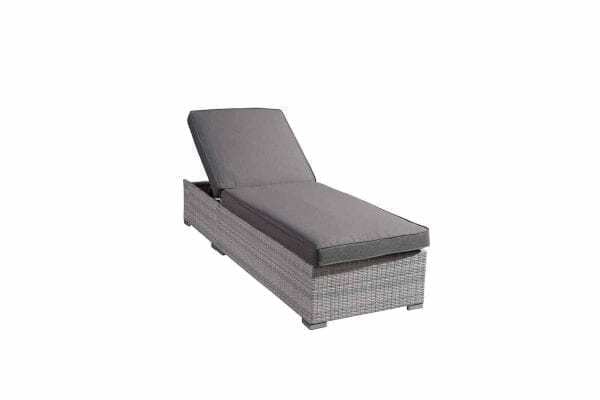 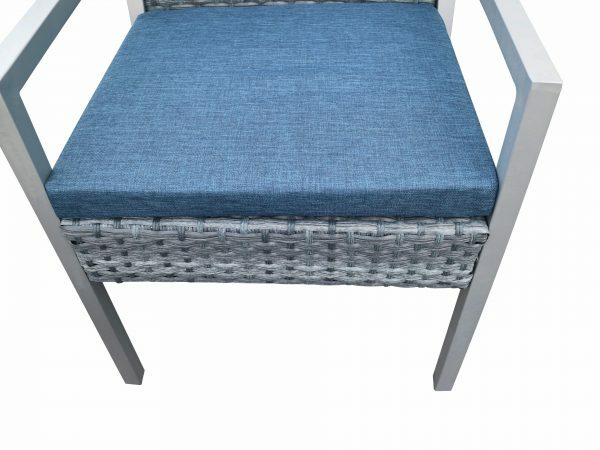 The BIASCA combines handwoven grey wicker with modern design. 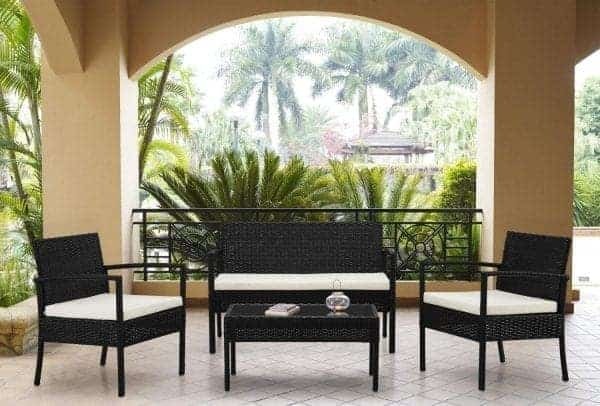 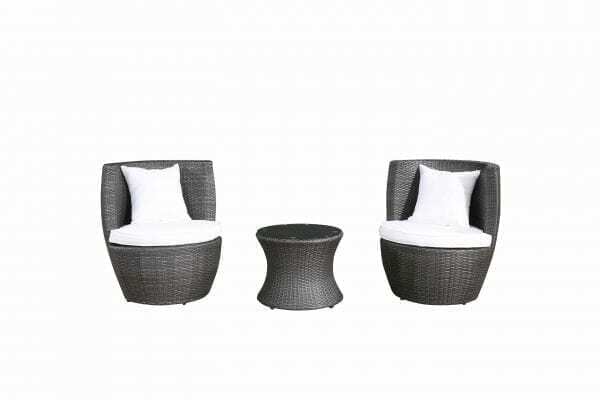 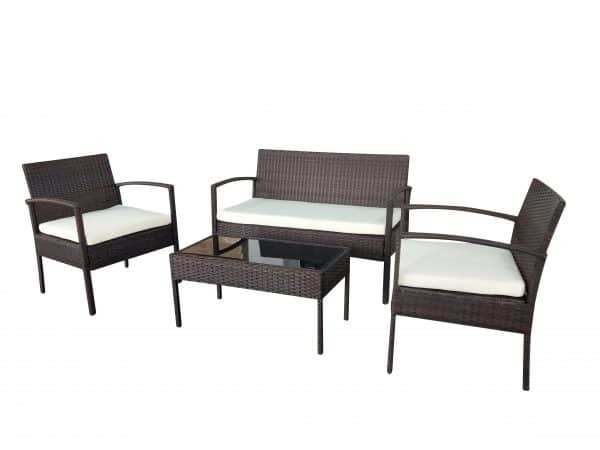 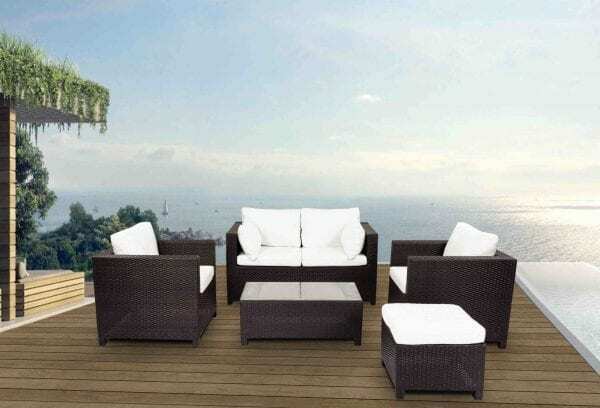 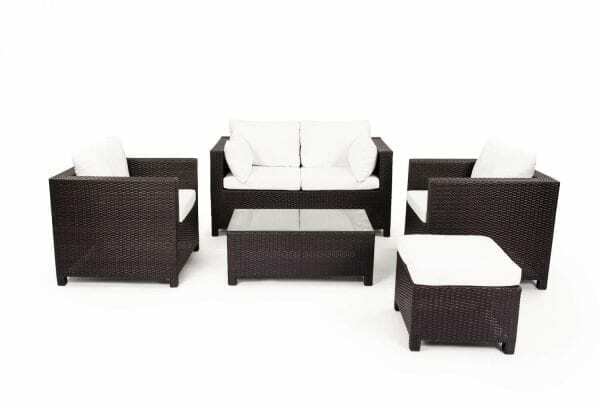 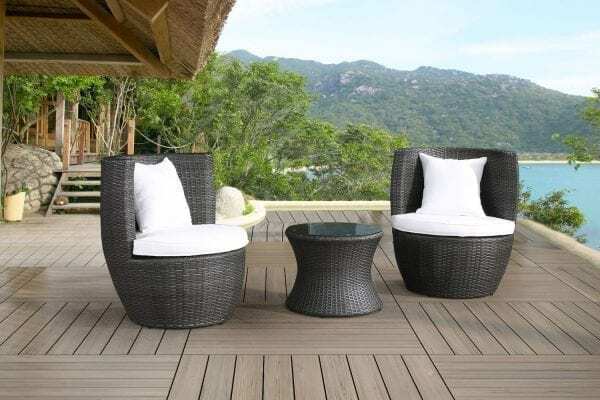 A great patio set for 4 persons to fit any space. 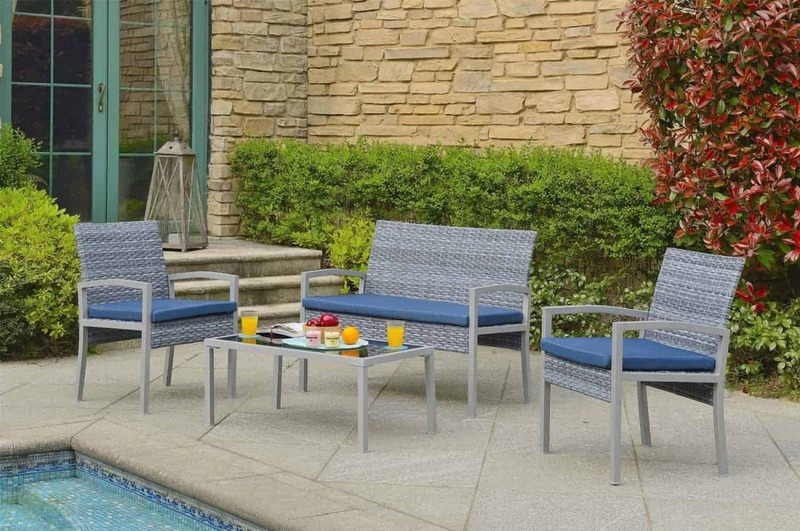 Comfortable cushions with royal blue covers provide the appeal for your color scheme. Arched back rests, arm rests and a coffee table complete the convenient furniture set.